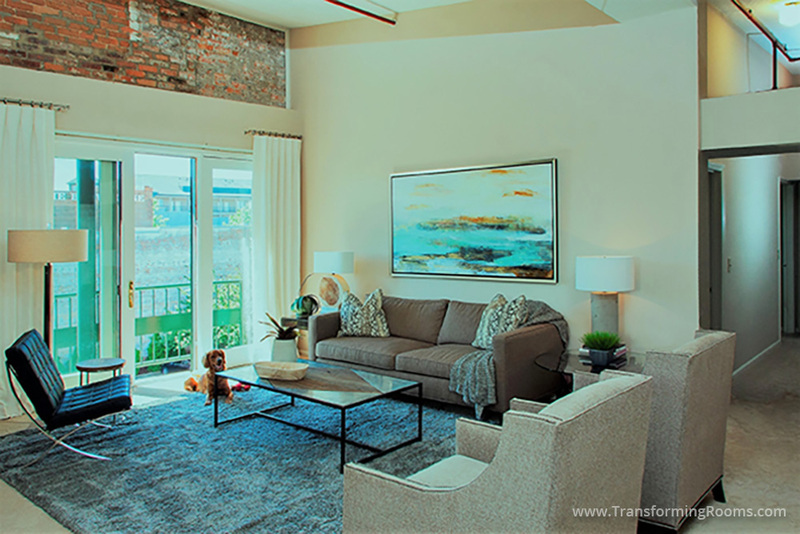 In this downtown loft, the before photo shows the prior design firm's work. 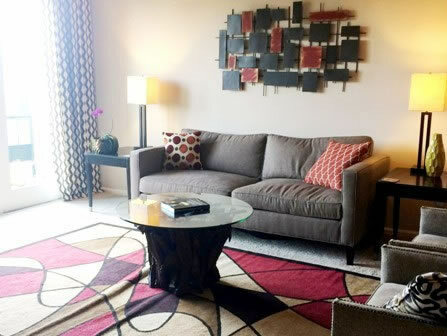 In our redo, we replaced busy patterns with subtle art, rugs and fabrics so the beauty of the exposed bricks stand out. Notice we kept the sofa and chairs, but used more unique tables, lamps, art, and accessories. Our client was so happy, he had us redo 5 other areas.